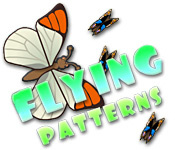 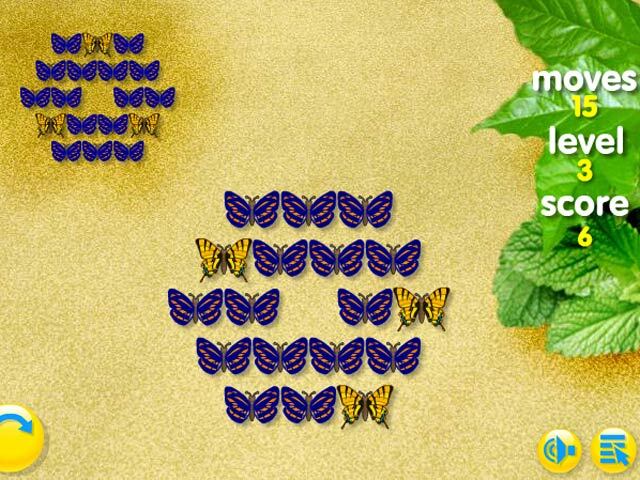 Flip the butterflies to solve the puzzle and make the shown design! 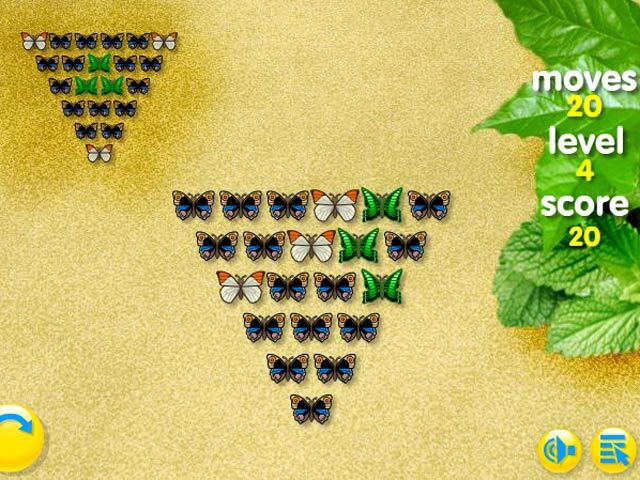 How many steps will it take you to recreate the level?Flip the butterflies to make the design!Flip the butterflies to solve the puzzle and make the shown design! 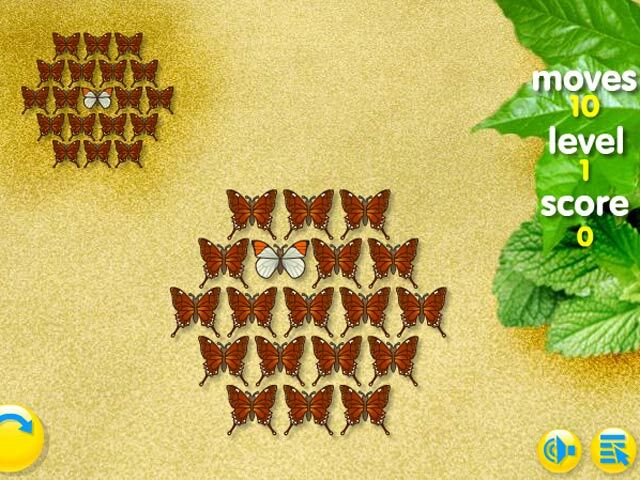 How many steps will it take you to recreate the level and make it to the end of the game?